When I first tried the Vanilla & Wild Berries protein powder from The Good Guru it reminded me of something, and that something was jelly and ice cream! Yep, this protein powder tastes so much like jelly and ice cream which is dreamy. 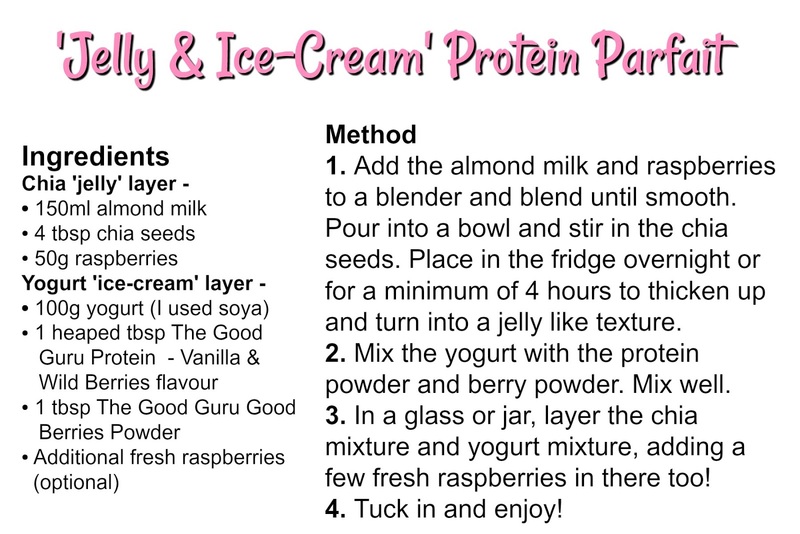 I knew I had to create a recipe using this protein, and I've come up with this incredible 'Jelly & Ice Cream' Protein Parfait which is my new favourite thing. It tastes like a dessert but is loaded with goodness and free from refined sugars. It's high in protein too so makes the best ever post-workout snack option! The jelly layer is made using chia seeds which helps give that jelly like consistency! I soaked the chia seeds in almond milk blended with raspberries to give a raspberry jelly flavour. This jelly layer is also incredibly filling, high in fibre and you get a boost of healthy fats from the chia seeds too which contribute to glowing skin and shiny hair. 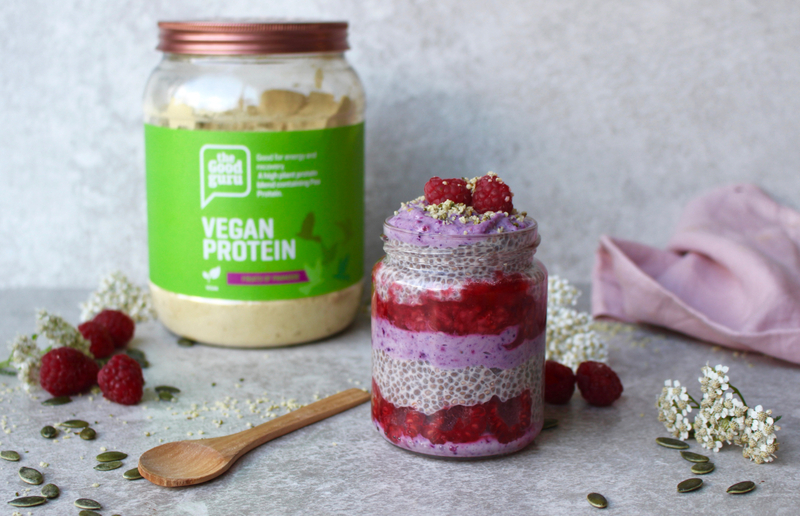 The 'ice cream' layer is made using yogurt (I used soya) and the Vanilla & Wild Berries protein powder from The Good Guru, which when mixed together create a gorgeously thick texture. I also mixed in some Good Berries powder from The Good Guru to give an added berry taste and some anti-oxident goodness. This protein parfait makes a wonderful breakfast or a great post workout treat!